GA830 – Mercator GPS Inc. 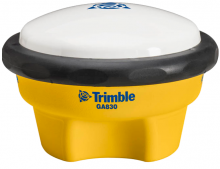 The Trimble GA830 Antenna is a general purpose GNSS antenna designed for the marine environment. It can be used for both position and heading applications, and has excellent RTK and MSS (OmniSTAR, CenterPoint RTX) performance.